Melbourne is known for many things: its incredible shopping scene, exotic beaches and multicultural cuisine. 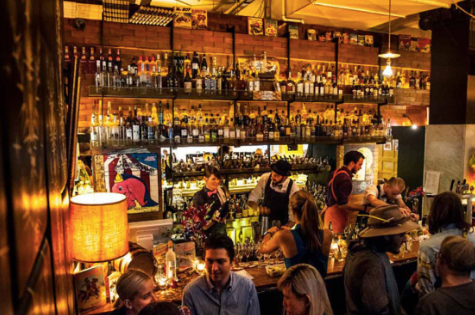 Alongside these aspects, the bar scene in Melbourne is renowned for its ability to create little nooks of solitude in a city of noise and activity. It is no secret that Melbourne boasts a large number of bars, so opening a new, fresh bar can prove a difficult endeavour. There are many things to consider: the practicality of opening a bar, location and the aspects of your bar that makes it unique to those that already exist. Here is a short guide to opening a bar in Melbourne that will hopefully get you started on your journey to creating a fresh, new experience in the hustle and bustle of this city. Before opening a bar, it is important to consider whether or not you are able to fund and support the opening of a business. Not only is this a huge financial endeavour, but also will take time away from your other projects. If you have the passion to dedicate your time and resources to opening a business, then you will need to start researching the supplies needed to make this happen. The cost of renting a space, hiring staff, and buying hospitality supplies in Melbourne will need to be investigated. If you can access the funds required for these, then we can proceed to the fun part! Location is an incredibly important factor to consider when opening a bar in Melbourne. You may have considered this in the above section, as the cost of renting a space will be different depending on where the space is located. Properties located close to public transport, especially train or tram stops will incur a higher renting price than those that are further away. Spaces that are close to the river, or that have incredible views of our beautiful city will also be more expensive than those that do not come with these features. With cost in mind, it is important to consider what kind of opportunities will be available to you with each location. The values of these opportunities will be dependant on what kind of bar you would like to open. If you would like to open a high-end, classy bar, then perhaps lovely views of Melbourne will be worth the extra cost in rent as it will help to achieve the atmosphere you are aiming for. If you want something that is difficult to find, and shrouded in mystery (which is not uncommon for Melbourne bars) then you may not need to worry about how accessible it is via public transport. Consider the atmosphere you want to create, and this will allow you to choose your location more effectively, perhaps saving you costs from luxuries that your space does not require. As there are many bars located in Melbourne, you will need to add a little “special something” to yours in order to attract customers away from their usual spaces. The most popular bars in Melbourne often have some sort of attractive feature that make them unique to others. Use your imagination, and break through the norm of what people think a bar should be to create something special. Look to The Croft Institute, Trapt and Ice Bar and see what they have done to create a truly unique experience. So there we have it, what you need to know in order to open a bar in Melbourne. Be prepared for a lot of late nights and hard work, as this process will not be easy. It will be a time of learning and excitement, so get excited and start working today!